The past week has been an incredibly sad time in Manchester. Following the atrocity of last weeks bombing and the shocking loss of life, it’s been hard to think about doing normal things. But the outpouring of love and support from my fellow Mancunians has made me very proud of my hometown, and has helped to ease the overwhelming grief. Our hearts are broken but as my old friend, Manchester DJ and writer Dave Haslam tweeted last week – you’ve got the wrong city if you think that hate will tear us apart! In the same week that we were left reeling, one of my favourite restaurants and most beloved of Manchester institutions turned 20. 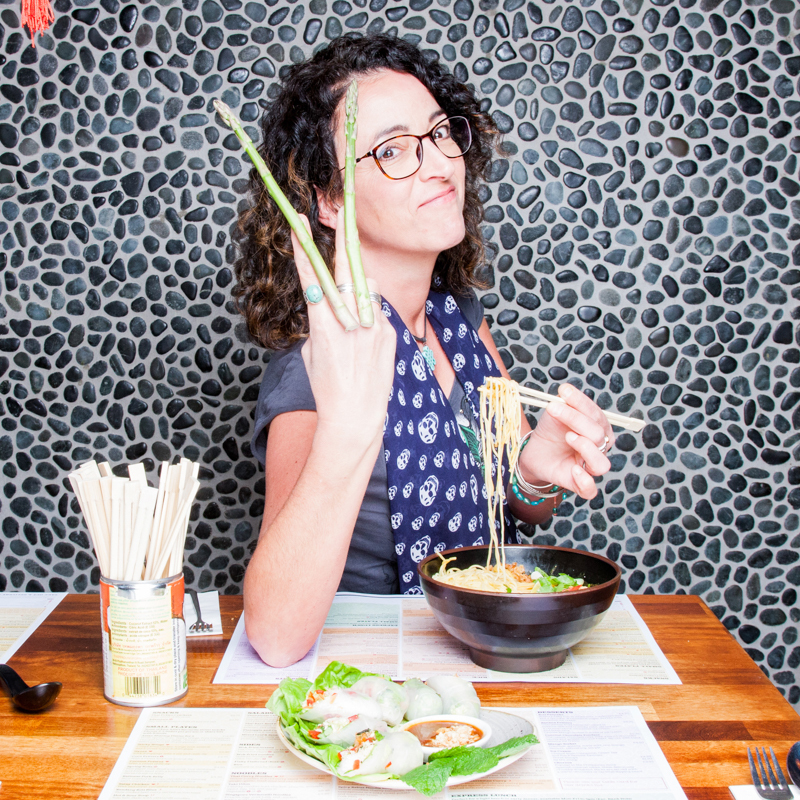 Tampopo has been serving up noodles and other South East Asian delights since 1997. I still remember my first visit to their original Albert Square location. It all seemed terribly exotic for Manchester back then. 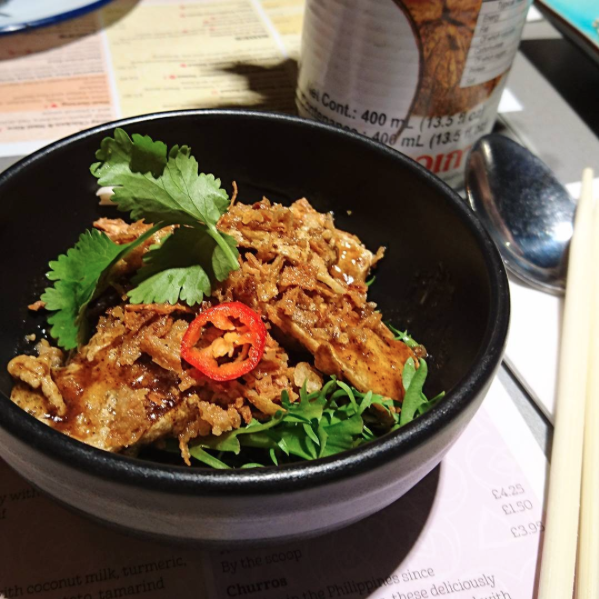 These days Tampopo’s popularity is evident, with three restaurants in Manchester and one down in that village we call London. 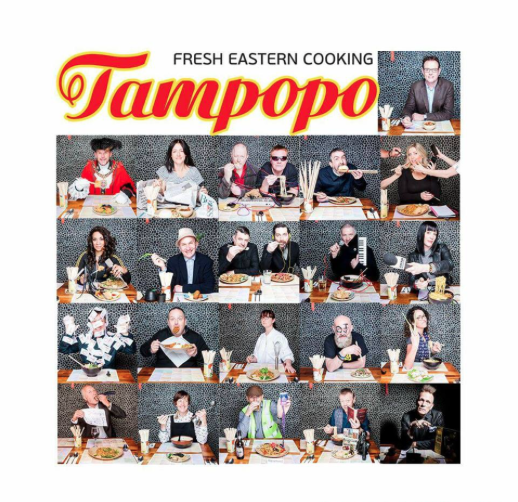 I’m very proud to have been involved with Tampopo since my MasterChef days, getting to work with an exceptionally hard-working and committed team, and helping bring new dishes to the their menu. Have you tried our latest addition? 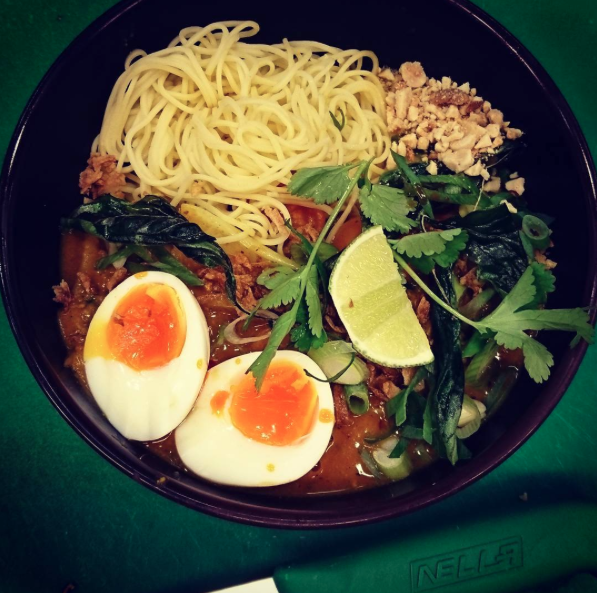 Mee Rebus is a hearty bowl of Malaysian noodles, with an unctuous and spicy sweet potato broth. With a vegan, veggie and omni version of the dish, like much of their menu, there’s plenty for everyone to choose from. To celebrate their 20th birthday, the team have marked the occasion by bringing together 20 Manchester faces who all love Tampopo. I can barely put into words how proud I am to be part of this. I can hardly believe I’m on a poster with so many Manchester legends including 808 State, Rowetta, Clint Boon and Graham Park. I spent much of the early 90s dancing to their music. I never knew we had a love of noodles in common too. The portraits were created by celebrated portrait photographer Paul Wolfgang Webster, where he's captured something about our character along with our favourite dishes. For the next few months, every time someone orders those dishes, Tampopo are donating money to some incredible charities. The Tim Bacon Foundation is raising money to bring the UK’s first proton beam therapy to Christies Hospital. Project Sumatra is a documentary film raising awareness about the plight of orangutans in Sumatra. So if you get the chance, pop into the Albert Square restaurant where you can see all the portraits in full. And be sure to order one of the many favourite dishes. My recommendation? 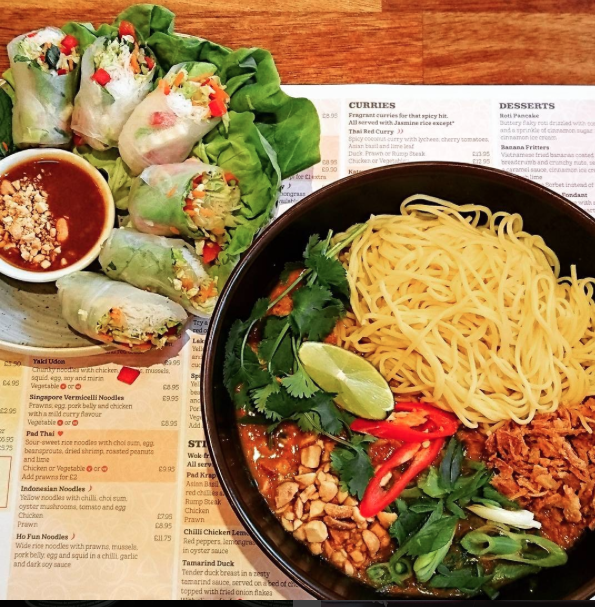 Start with some summer rolls and Balinese tofu, followed by a big bowl of mee rebus and some nasi goreng. Sorted!